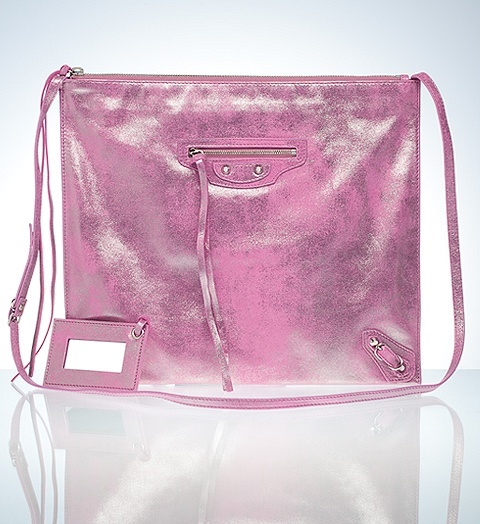 So we've all been wondering about these new glittery bags and accessories Balenciaga just released. 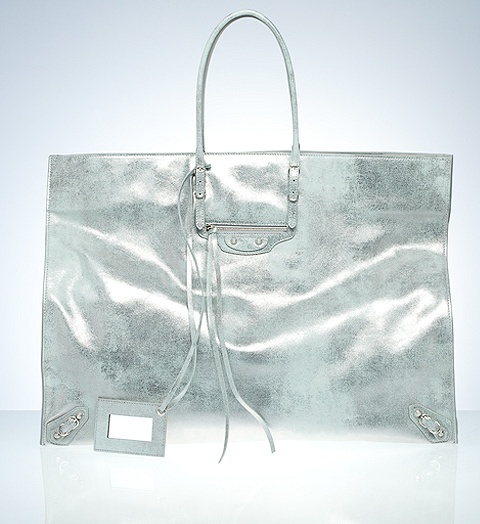 They are finally available for purchase on the Balenciaga website! So far, they have the Papier Tote available in two sizes, A3 and A4, Messenger bag, Money wallet, Coin Purse, and a clutch. It is dubbed the Milkyway Ligne part of this season's holiday collection, which is a very pretty name.. much better than Glittery. I have to say that this year's holiday design is much better than last years tricolor stuff. 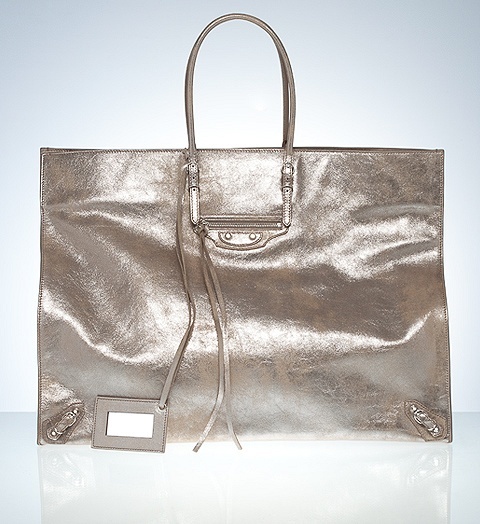 They are made of calfskin (veau) with brass metal hardware that looks silvery. My take: They are very pretty eye candy with it's sparkly texture and gorgeous metallic colors. I like them, but I think I've had enough of sparkly things for now. 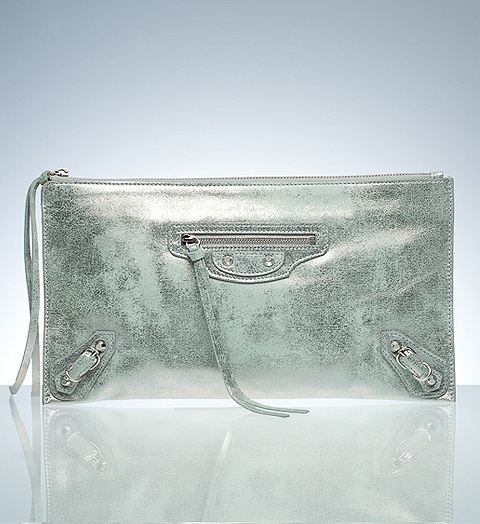 I am still questioning it's durability as with all metallic leathers end up look dingy after only short periods of use. I won't purchase yet since my Stardust Pencil is enough bling for me. 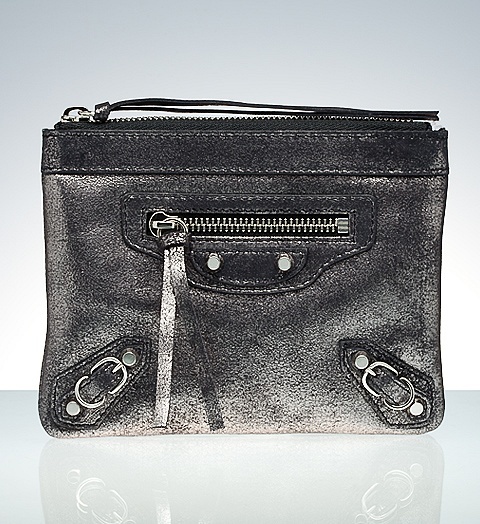 My favorite item would have to be the coin purse in black. 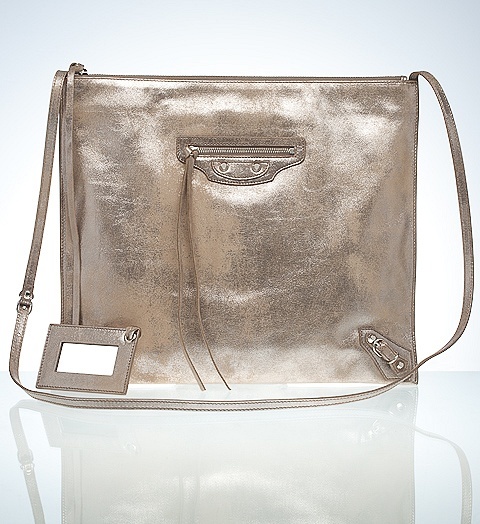 It would look lovely hanging out in a City bag. 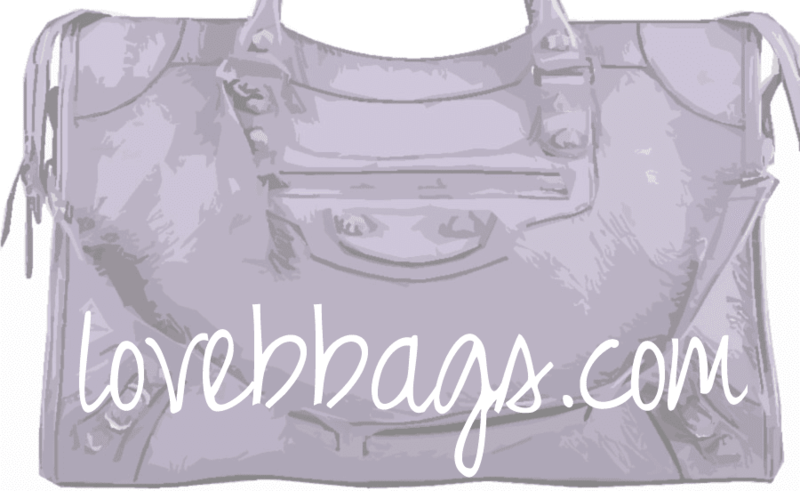 Click here to check them out on the Balenciaga website. 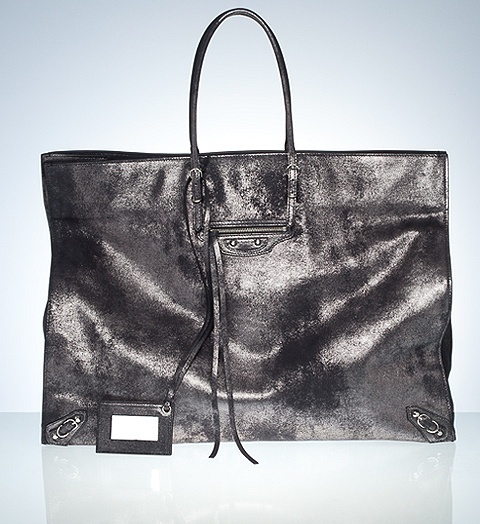 MyTheresa.com has a few styles available in the Papier tote here, smaller Shoulder bag (not see on Bal.com site) here, and Money wallet here.